1. Sponsor: The RIDERS OF ICARUS HALLOWEEN PARTY SCREENSHOT CONTEST (JANUARY - FEBRUARY 2018) (“Promotion”) is sponsored by Nexon America Inc., 222 N. Sepulveda Blvd., Suite 200, El Segundo, CA 90245, USA (“Sponsor”). 4. 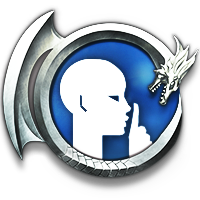 Timing: The Promotion begins at the time the Promotion is posted on Nexon’s Riders of Icarus forum page (http://forums.icarus.nexon.net/discussion/22642/) (“Forum”) on January 31, 2018 and ends on February 13, 2018 11:59 PM Pacific Time (“Promotion Period”). Submissions that are submitted before or after the Promotion Period will be disqualified. Sponsor’s computer will be the official timekeeping device for this Promotion. Entrants are responsible for calculating the difference in time zones. 5. How to Participate: To participate in the Promotion, entrant should capture a screenshot image of their Riders of Icarus character dressed in the entrants’ favorite Halloween themed outfits in or around Victory Plaza and Hakanas Crossings, and upload that image to Sponsor’s Forum. 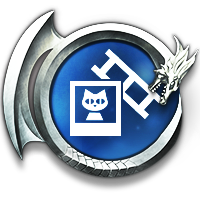 The screenshot can be an action shot, selfie or group picture, and the entrants can use emotes, poses, pets and mounts in their screenshots. Entrants may submit one (1) entry, with a maximum of four (4) other friends, which means that there can be five (5) total participants in one screenshot. 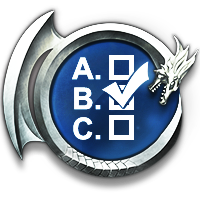 d.	Can be photoshopped, edited or filtered; cropping is acceptable, but the original Riders of Icarus character or mount must be visible and recognizable. l.	Not contain material that is unlawful, in violation of or contrary to the laws or regulations in any jurisdiction where the image is created. Sponsor is not responsible for lost, late, incomplete, invalid, illegible or misdirected image, which will be disqualified, or for any error, whether human, technical or otherwise. Sponsor reserves the right in its sole discretion to disqualify any entrant it finds to be tampering with the operation of the Promotion, such as using automated submission or image generation software, or to be acting in violation of these Official Rules. 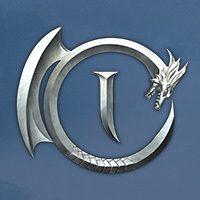 In the event of a dispute as to the identity of an entrant, the authorized account holder of the entrant’s Riders of Icarus account that is used to participate in the Promotion will be deemed to be the entrant. The “authorized account holder” is the natural person who is assigned to an e-mail address by an Internet access provider, online service provider, or other organization responsible for assigning e-mail addresses for the domain associated with the e-mail address registered for the Facebook account. The judge(s) will select fourteen (14) potential prize winners from among all eligible entrants. The potential winners will be notified after the date of selection at his/her forum account that was used to enter the contest (or other means of communication as Sponsor may select). The potential prize winners may be asked to submit additional personal information in order to confirm eligibility and award the prize. Potential prize winners may also be asked to sign an Affidavit of Eligibility or Declaration of Compliance (as may be applicable given the location of the potential prize winner) unless this is prohibited by law. If the potential winners cannot be contacted, fails to respond to the notification within the required time period (if applicable), or fails to sign and return the Affidavit or Declaration within the required time period (if applicable), he/she will be disqualified and will forfeit the prize. If a potential winner is disqualified for any reason, Sponsor will award the prize to an alternate potential winner to be chosen based upon the winner selection criteria described in this Section. Limit one (1) prize per person. No cash or other substitution is allowed except by the Sponsor who may substitute a prize (or component thereof) with another prize (or component thereof) of equal or greater value, as determined by the Sponsor in its sole discretion. A prize (or part thereof) is not transferable or refundable and must be accepted as awarded. The winners are responsible for any and all other costs and expenses not listed above. Winners will be responsible for payment and reporting of all applicable taxes associated with the receipt and usage of a prize. Sponsor may report the receipt of any prize to the appropriate federal, state, or local taxing agency(ies). Please allow at least thirty (30) days from completion of the judging process for the in-game prizes to be reflected in the winners’ accounts. 10. Warranties and Representations:	By submitting submission, each entrant warrants and represents that: (a) the submission is original to the entrant, (b) the submission does not infringe the intellectual property, privacy, publicity or any other rights of any third party; (c) the submission does not violate any law, regulation or any provision of these Official Rules; (d) the submission has not previously been entered in any other contest or promotion; (e) the submission has not been previously published in any medium; (f) the entrant has read and understood these Official Rules; (g) at all times the entrant has complied fully with these Official Rules; and (h) the entrant will continue to comply in full with these Official Rules until the Promotion has been completed. 14. General Conditions:	In the event that the operation, security, or administration of the Promotion is impaired in any way for any reason, including, but not limited to fraud, virus or other technical problem, the Sponsor may, in its sole discretion, either (a) suspend the Promotion to address the impairment and then resume the Promotion in a manner that best conforms to the spirit of these Official Rules or (b) award the prizes from among the submissions received up to the time of the impairment. Any attempt by any person to undermine the legitimate operation of the Promotion may be a violation of criminal and civil law, and, should such an attempt be made, the Sponsor reserves the right to seek damages from any such person to the fullest extent permitted by law. Failure by the Sponsor to enforce any provision of these Official Rules shall not constitute a waiver of that provision. 15. Winners List:	The winners will be announced by Sponsor on the Forum no later than thirty (30) days after all winners have been confirmed.